There comes a time when you break down and just need a good, high-quality pair of waterproof boots. The time has come for such work footwear. Check out these Timberland PRO Women's Hightower TB0A1RUJ 214 Waterproof Work Boots from Working Person's Store. We get wom ... (see full details) (see specifications) #TB0A1RUJ214. There comes a time when you break down and just need a good, high-quality pair of waterproof boots. The time has come for such work footwear. Check out these Timberland PRO Women's Hightower TB0A1RUJ 214 Waterproof Work Boots from Working Person's Store. We get women's waterproof boots like this from companies we trust. Order your pair from us today to get the durable foot protection you need from a brand that doesn't cut corners. 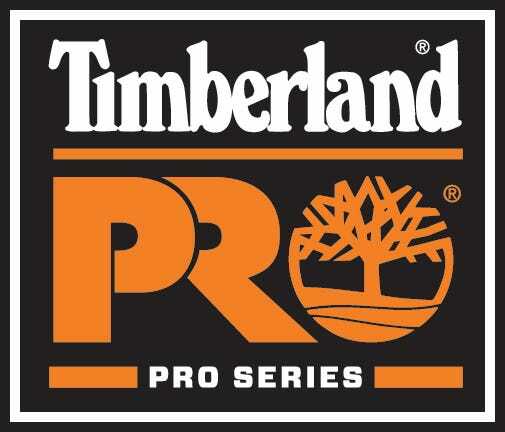 Timberland PRO Hightower boots are built with an anti-fatigue comfort system. This is created with shock-absorbing and geometrical technology that works to return energy back to your feet, which in turn gives you all-day comfort and support. Trekking through some harsh weather? These waterproof women's boots feature waterproof membranes that deliver maximum waterproof protection. This leather work footwear is also blood-borne pathogen-resistant and meets the ASTM F1671-07 safety standard. The leather exteriors are waterproof as they have a special tanning that repels moisture to give you top coverage. The Hightower blood-borne pathogen-resistant boots also offer electrical hazard protection, meeting the ASTM F2412-11, ASTM F2413-11, and ASTM F2892-11 safety standards. You will have secondary underfoot protection against live electrical circuits, electrically-energized conductors, parts, and apparatuses. The non-marking, all-weather TPU (thermoplastic urethane) outsoles on these women's EH boots are slip-, oil, and heat-resistant up to 248 degrees Fahrenheit (120 degrees Celsius) using EN/ISO 20344:2004. On the inside, there are antimicrobial-treated linings for odor control and fresher feet, and the Dynamic anti-fatigue technology polyurethane footbeds have dynamic arches for excellent support. Fiberglass shanks also add structural support, and these Timberland PRO heat-resistant boots are built specifically to fit women's feet comfortable. The soft toe Hightower women's boots feature cast-metal hardware as well as a cement construction to provide a sturdy yet flexible boot design. Keep your feet dry, comfortable, and safe by wearing a pair of these Timberland PRO Women's Hightower TB0A1RUJ 214 Waterproof Work Boots from Working Person's Store. Place your order with us today, and we will get these sent your way! Timberland PRO Boots: Women's Hightower TB0A1RUJ 214 Waterproof Work Boots is being added to your cart.